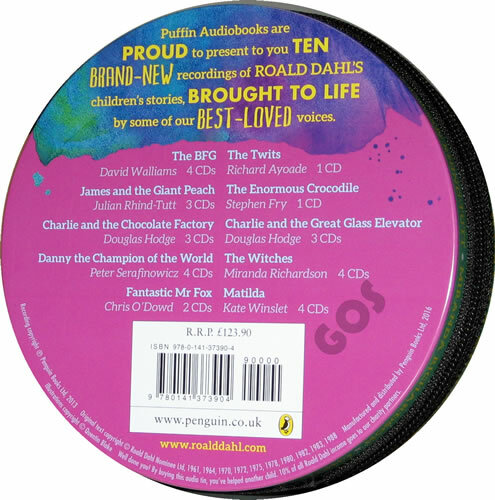 ten of the Roald Dahl stories are featured in this delightful 29 CD selection. 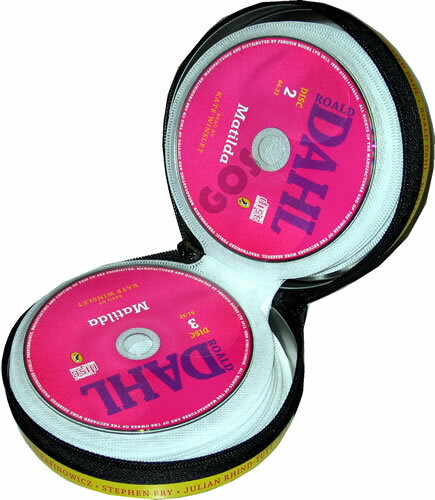 Beautifully packaged in a handy zipped tin, the 27 CDs are ideal for bedtime, playtime or for car journeys. 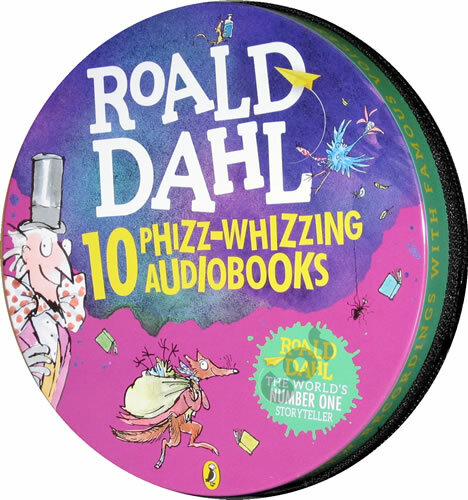 Parents and children alike will love the fantabulous world of Roald Dahl brought to life in this exciting new collection.